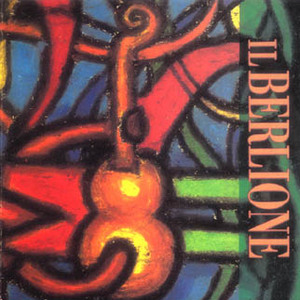 Il Berlione are a powerful Japanese quintet that had started in the early 90's. Their music is entirely instrumental, somewhere in between Canterbury and jazz fusion; Soft Machine springs to mind. However, they're highly original unit meandering from RIO/avant moments to the most stellar Fripp/Crimson ideas. The emphasis is on guitar (played by Naoya Idonuma), but other instruments are convincing as well, sometimes bordering on extraordinary. Other members of this quintet are Kazuo Ogura on bass, Hirofumi Tanigutchi, on keyboards, Hiroo Takano on saxophone and Tappi Iwase on drums & percussion. Masahiro Kawamura replaced Iwase on drums for the second album. They head released two albums for the Japanese Belle label, 'Il Berlione' and 'In 453 Minutes Infernal Cooking' in 1992 and 1994 respectively. Their self-titled debut is highly recommended. No, this is not another lost 70's Italian reissue, but instead a powerful Japanese quintet featuring guitar, bass, saxes, keys, and drums. Their sound could best be described as a Canterbury/RIO-influenced rock with a healthy dose of mid-period King Crimson. There are strong jazz elements, comparable to the Hopper/Dean period of Soft Machine, and the angularity and moodiness of Univers Zero. Guitarist Naoya Idonuma dominates many of the tracks with his finger-blistering leads, playing in a multitude of textures, reminding at times of Beck, Fripp, even Zappa and Santana, but the similarities are more event-driven than any sort of conscious emulation, fitting a style to the moment. Hiroo Takano (saxes) generally works in close conjunction with Naoya, but does split off from time to time for some eloquent solos. More than anything else, it is his saxes and the restless rhythm section that connects their sound to the Canterbury/RIO style. All taken, this is one excellent album, especially considering it's their first! Fans of Soft Machine, Crimson, National Health, and Henry Cow will most certainly enjoy this one. Juicily lyrical yet subtly askew, the sound of Japan's avant fusion unit Il Berlione shares a strong rapport with the giddy Big-Swifty-Meets-St.-Alfonso post-Zappa antics of their contemporaries in Tipographica, though Il Berlione's origami-like structures are less maniacally twisty-turny as an end in itself than Tipographica and sometimes reach for fruitily lurid themes or ride the edge of fusionoid flash in a way that can cause nervous sideways glances, though even then, it's always against an undertow of structural peculiarity or manages to rapidly reconfigure its component parts into a spaghetti tangle of quirky inversions.